2. It requires worship of the beast. When the antichrist, DEAD Pope John Paul II appears on earth, the Mark of the Beast will be revealed. It will likely be several different things, depending on where in the world people live. 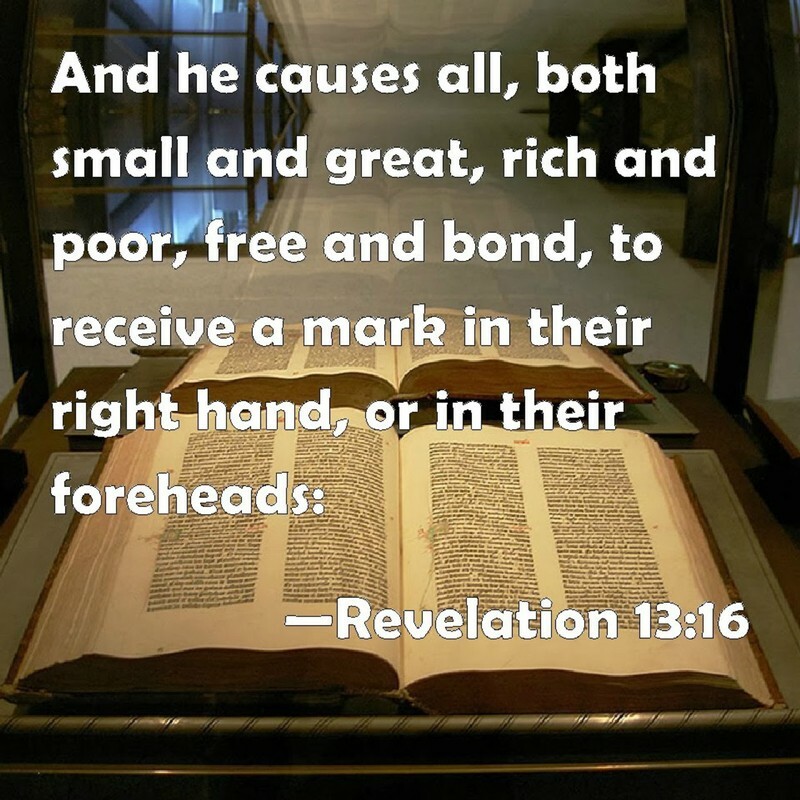 If ANYTHING controls buying and selling and worship of the beast, it will be the Mark of the Beast. We are commanded to come out of Babylon (18:4) - give Him the Glory (Rev 14:7), & refuse to take the Mark of the Beast (Rev 14:9). ObamaCare ~ Mandatory Microchip Implant for all Americans!!! H.R. 3200 section 2521, Pg. 1001, paragraph 1. in the Obama Health care bill. This new law requires an RFID chip implanted in all living in te U.S. This chip will not only contain your personal information with tracking capability but it will also be linked to your bank account. And get this, Page 1004 of the new law (dictating the timing of this chip), reads, and I quote: "No later than 36 months after the date of the enactment". It is now the law of the land that by March 23, 2013 we will all be required to have an RFID chip underneath our skin and this chip will be link to our bank accounts as well as have our personal records and tracking capability built into it. America is headed for complete and total disaster over the next several years and make no mistake about it…that is by design. Obamacare is going to absolutely shred the infrastructure of our medical system…that is also by design. It is going to send the cost of health insurance and prescription medicines soaring.